Published by Queen Anne Press, London First edition 1996. 1996. First edition hard back binding in publisher's original cloth covers, gilt lettering to spine. 8vo. SIGNED by the author Ian Robertson. Fine in Fine dust wrapper, not price clipped. Dust wrapper supplied in archival acetate film protection. Member of the P.B.F.A. Published by G. Bell and Sons Ltd., London First edition 1930. 1930. 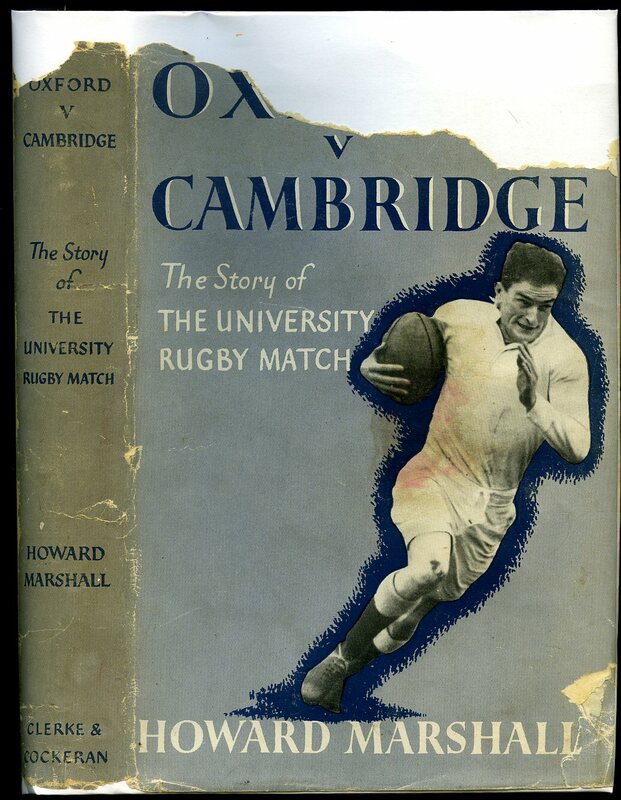 First edition hard back publisher's original olive / khaki cloth covers, deep navy stamping to spine and upper panel. 8vo 7½" x 5¼" x, 165 [pp]. Twelve monochrome photographic illustrations on glossy paper. 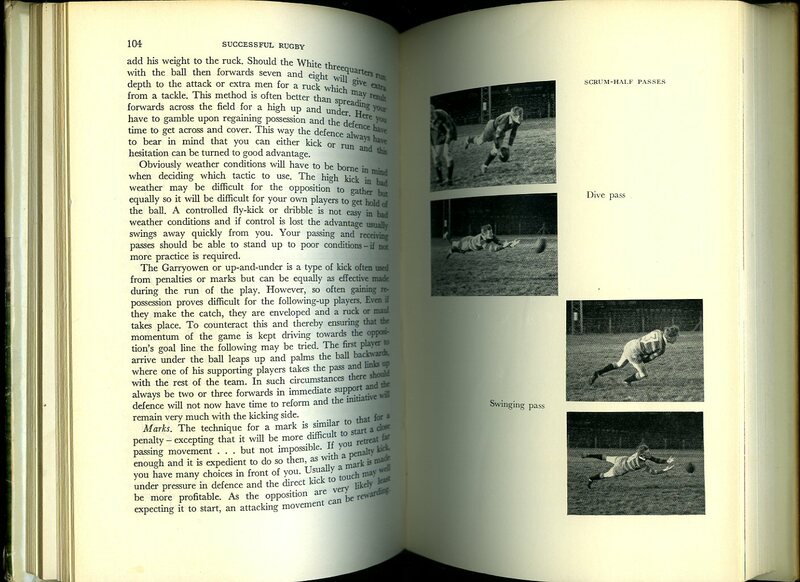 The book is intended to serve two purposes: 'to explain the objects and tactics of the game clearly and simply to those who, in increasing numbers, go to watch Rugby football; and to give practical instruction to young players'. 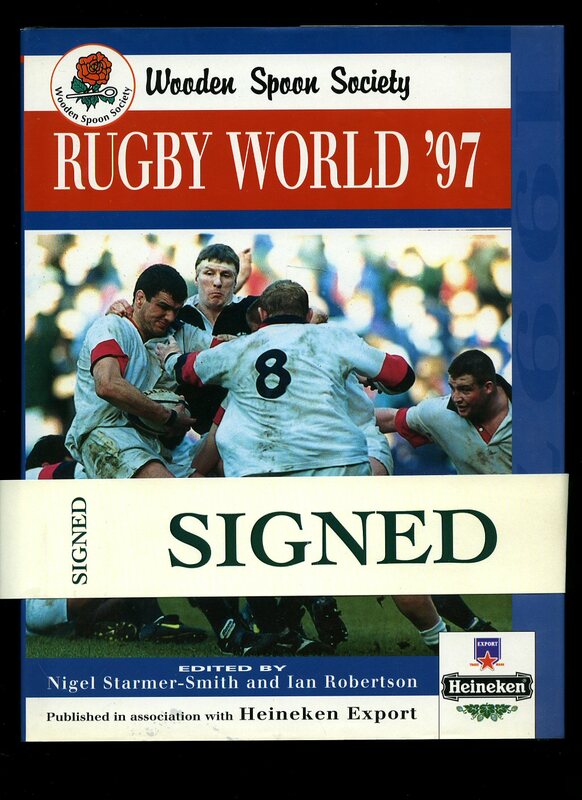 'Practical Book on Rugger. What to Watch & How to Play'. Former name to front end paper, light foxing to page edges, small rubs across spine tips. In Very Good condition, no dust wrapper. Member of the P.B.F.A. 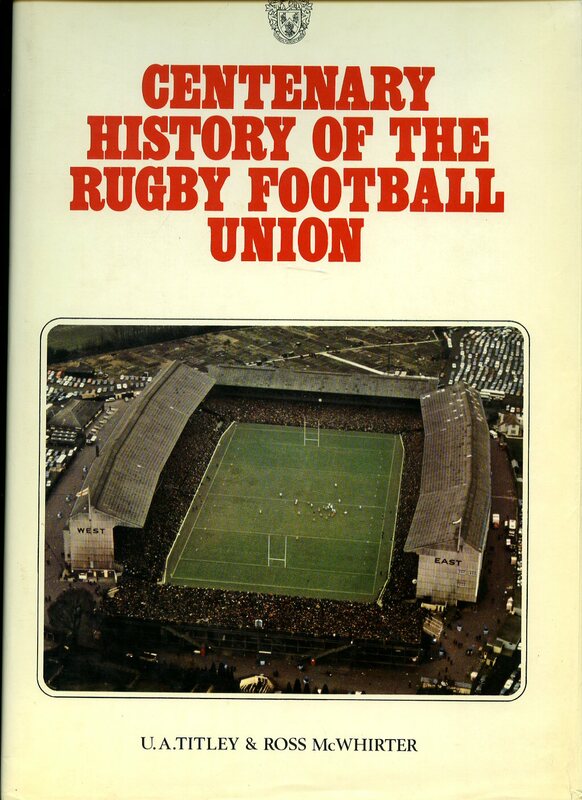 Published by Rugby Football Union First Edition 1970. London 1970. First edition hard back binding in publisher's original jade paper covers, gilt title and author lettering to the spine and the upper panel. Folio. 12½'' x 9¼''. Contains [xvi] 216, 96 printed pages of text with colour and monochrome illustrations throughout. Without any ownership markings. Fine condition book, in near Very Good condition dust wrapper with small tears to the corners and spine ends. Dust wrapper supplied in archive acetate film protection, this protects and prolongs the life of the paper, it is not adhered to the book or to the dust wrapper. Member of the P.B.F.A. Published by Queen Anne Press, Lennard Associates Limited, Mackerye End, Harpenden, Hertfordshire. 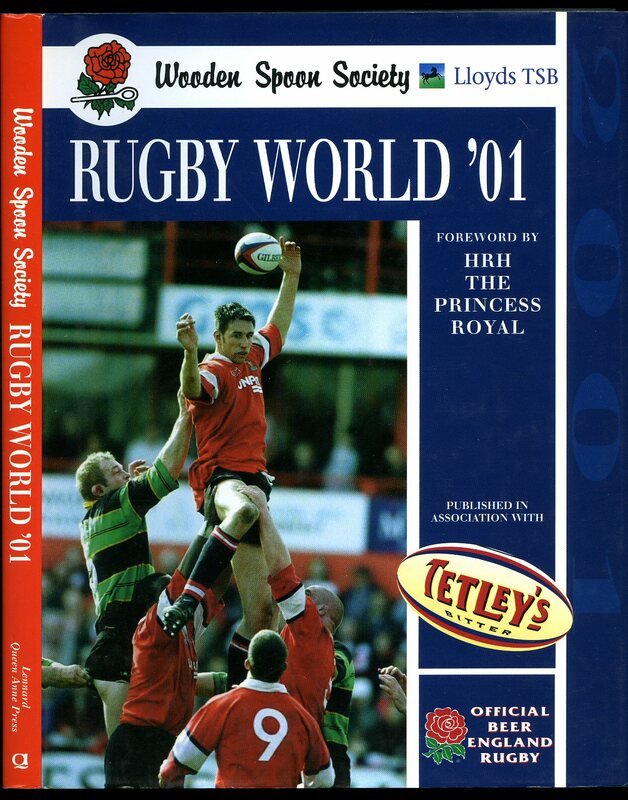 First Edition 2000. Hertfordshire. 2000. 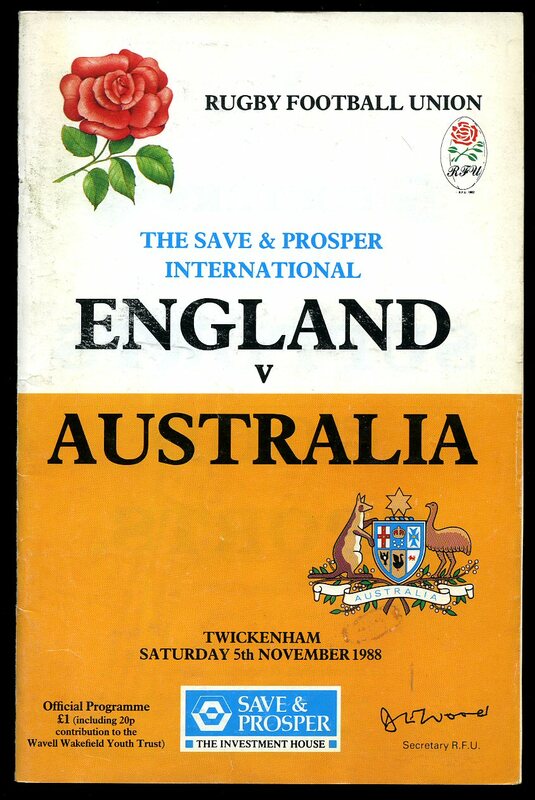 Twickenham Saturday 5th November 1988. 1988. Official match programme in stapled paper covers. 8¼" x 5½". 52 pages. Colour and monochrome photographic illustrations. In Fine condition. Member of the P.B.F.A. 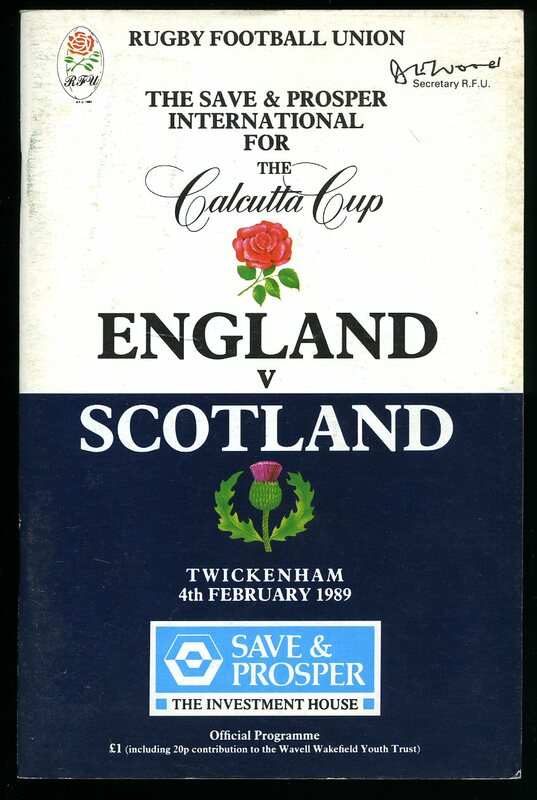 Twickenham Saturday 16th January 1993. 1993. 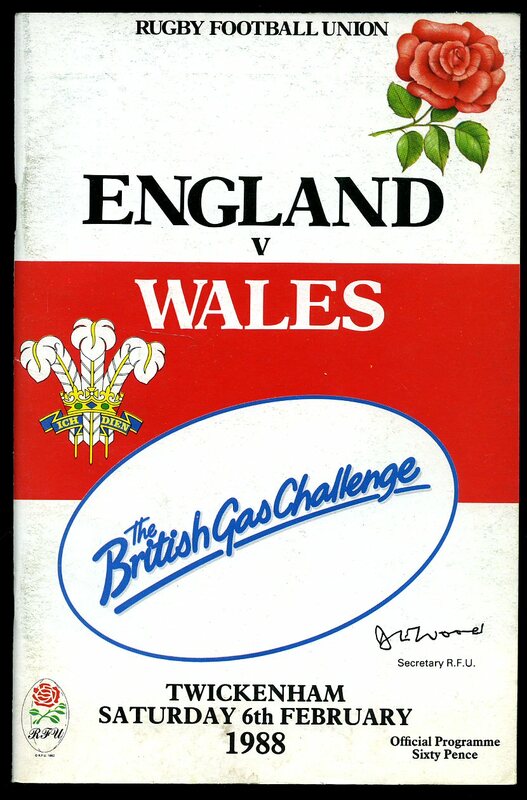 Twickenham Saturday 17th February 1990. 1990. 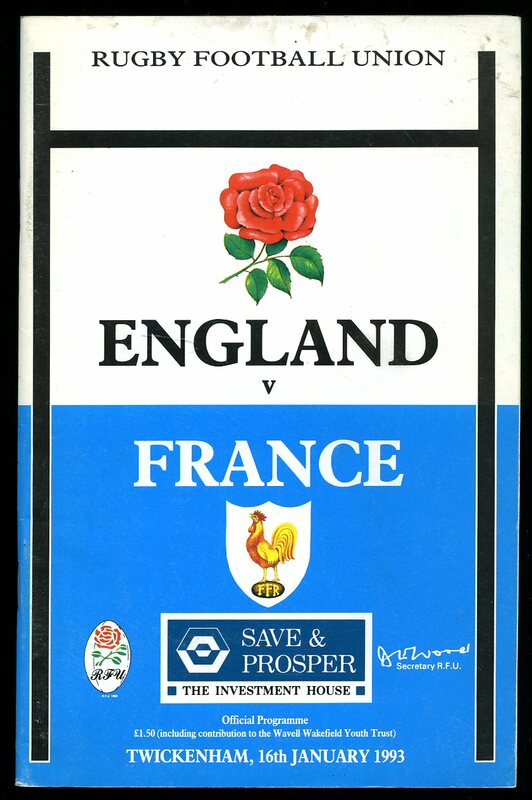 Twickenham Saturday 6th February 1988. 1988. 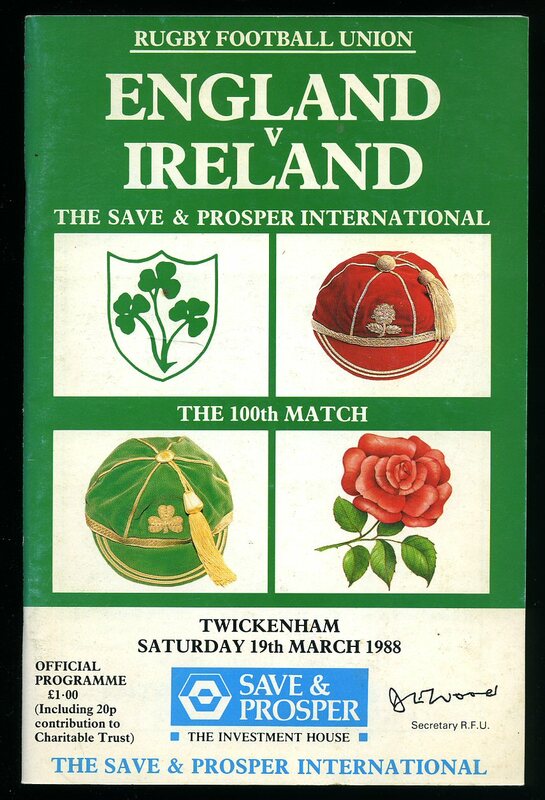 Twickenham Saturday 19th March 1988. 1988. Official match programme in stapled paper covers. 8¼" x 5½" 52 pp. Colour and monochrome photographic illustrations. In Fine condition. Two £12.00 tickets enclosed. Member of the P.B.F.A. 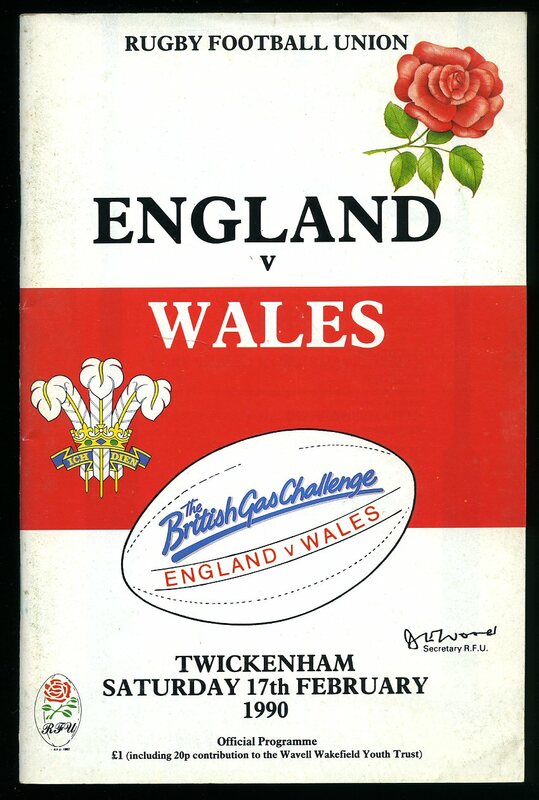 Twickenham Saturday 4th February 1989. 1989. Published by Pelham Books Ltd., 26 Bloomsbury Street, London First Edition 1968. London 1968. First edition hard back binding in publisher's original green paper covers, silver title and author lettering to the spine. 8vo. 9'' x 6'' ISBN 720702291. Contains [ii] 208 printed pages of text with 38 monochrome illustrations and 63 photographs throughout. Without any ownership markings. Very Good condition book, in Very Good condition dust wrapper with shallow rubs to the spine ends and corners, not price clipped 30s. Dust wrapper supplied in archive acetate film protection, this protects and prolongs the life of the paper, it is not adhered to the book or to the dust wrapper. Member of the P.B.F.A. 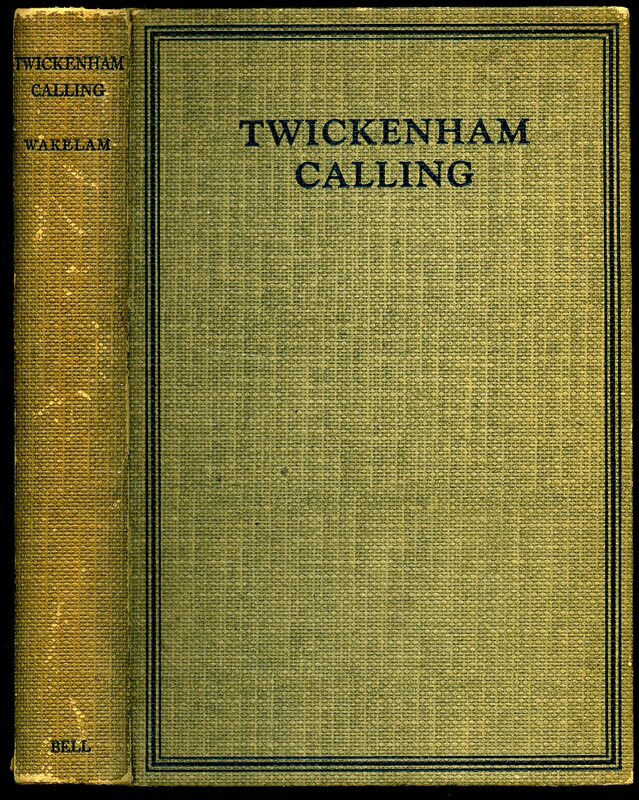 Published by Clerke and Cockeran 72 Fleet Street, London First Edition 1951. London 1951. First edition hard back binding in publisher's original sea green cloth covers, gilt title and author lettering to the spine. 8vo. 9'' x 6''. Contains 256 printed pages of text. Sun fading to the top of the front cover and front free end paper, without any ownership markings. Good condition book, in torn and repaired dust wrapper. Dust wrapper supplied in archive acetate film protection, this protects and prolongs the life of the paper, it is not adhered to the book or to the dust wrapper. Member of the P.B.F.A.